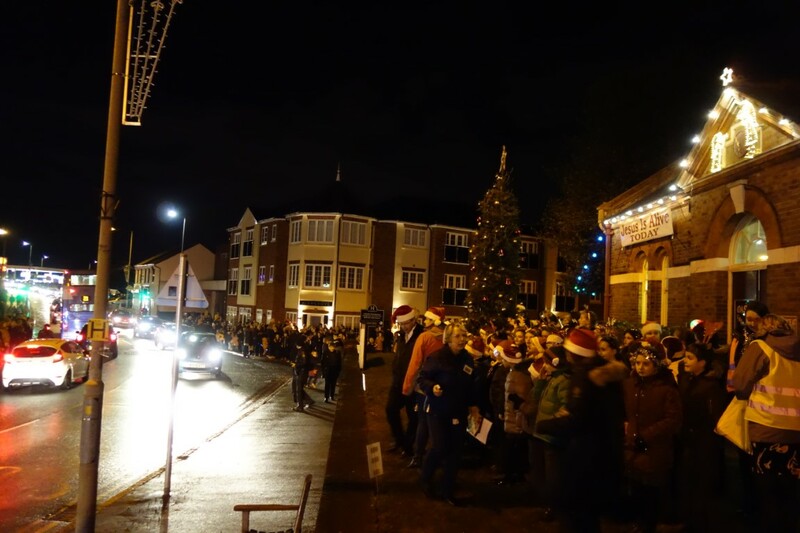 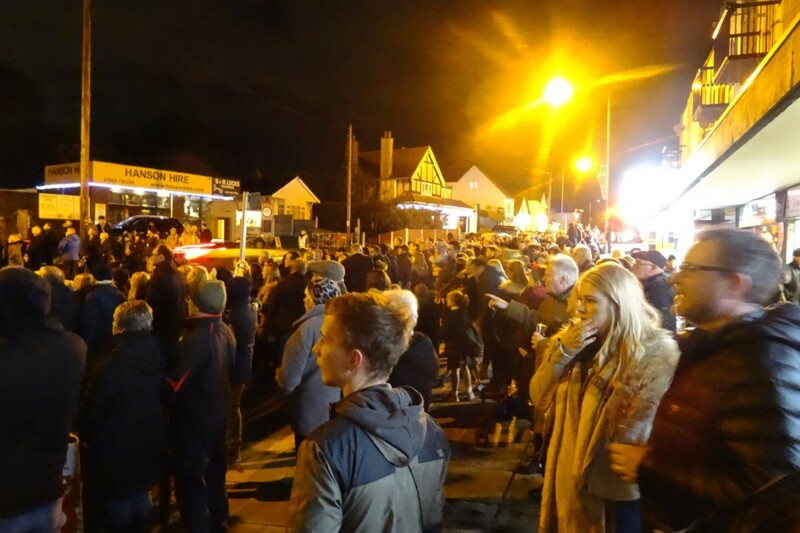 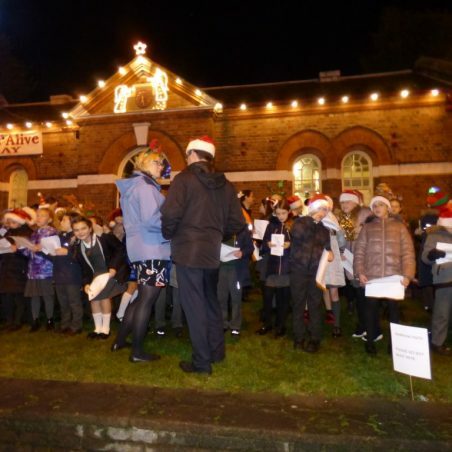 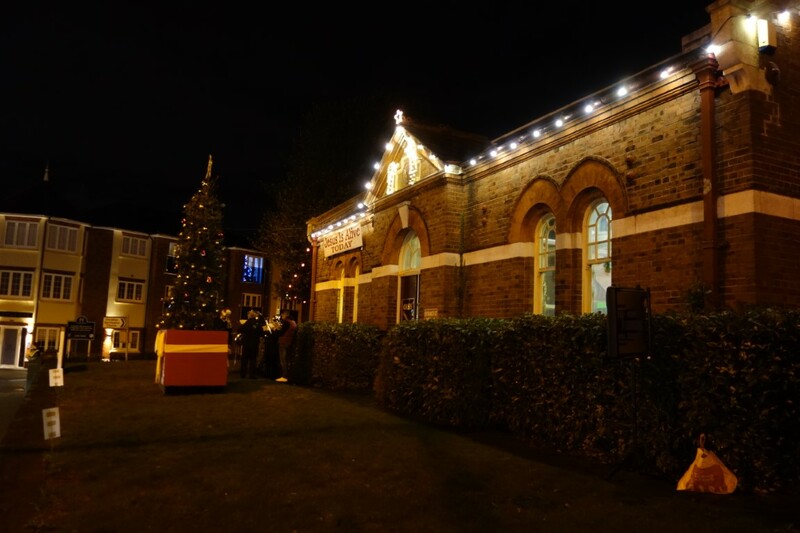 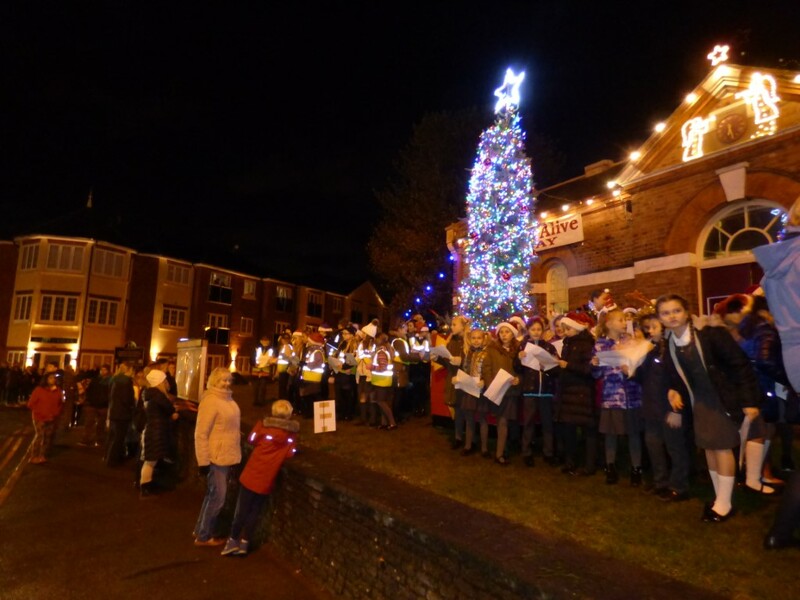 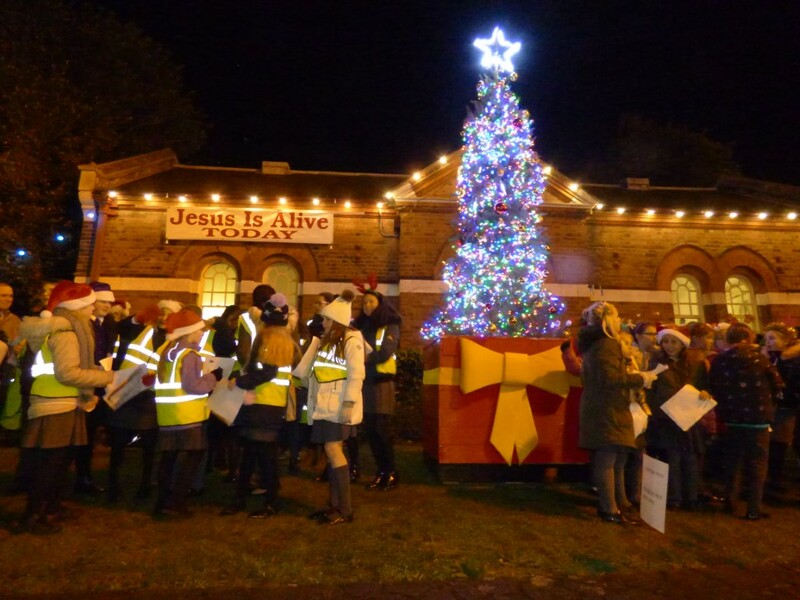 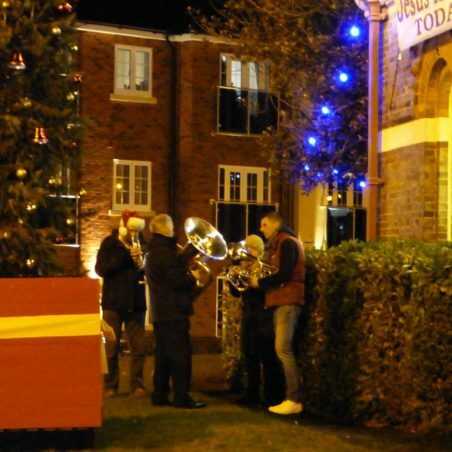 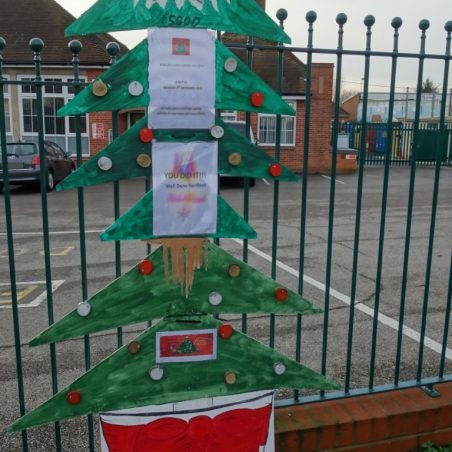 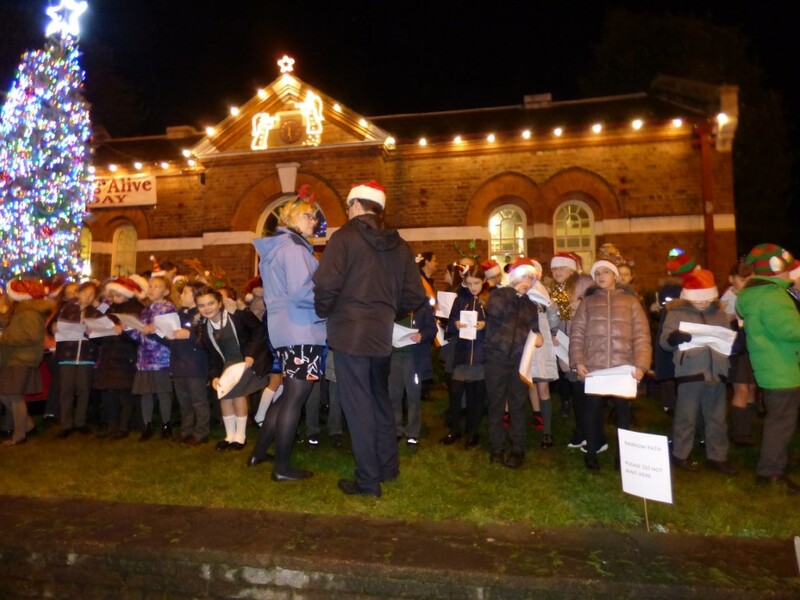 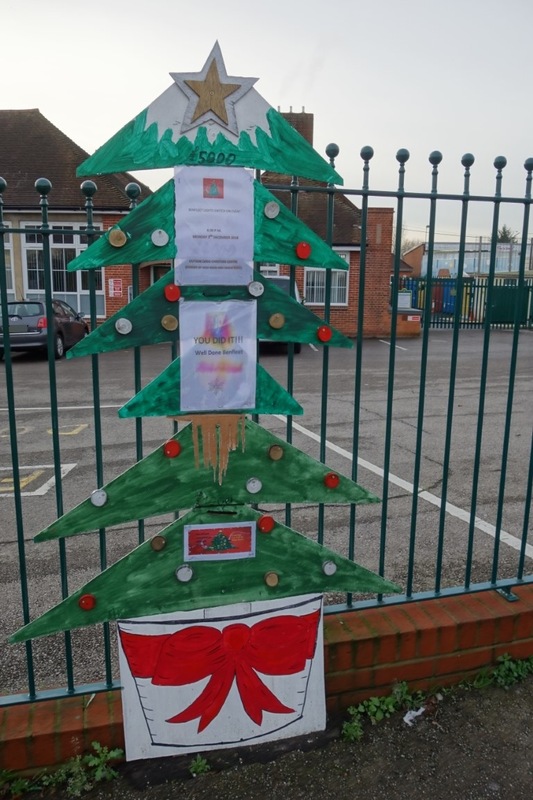 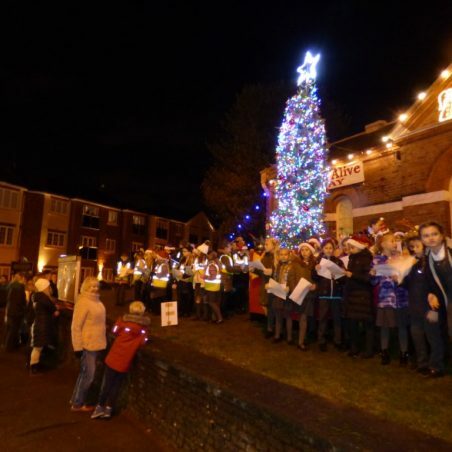 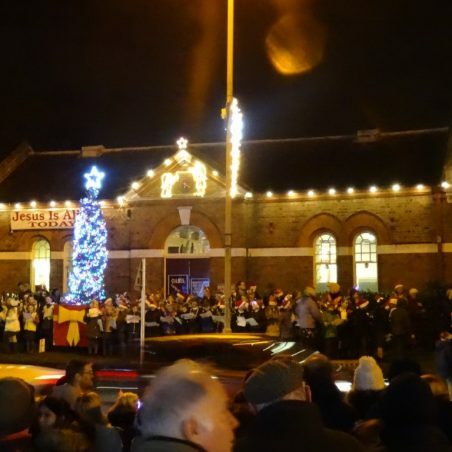 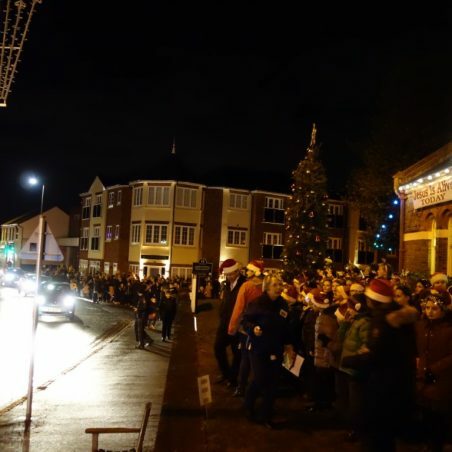 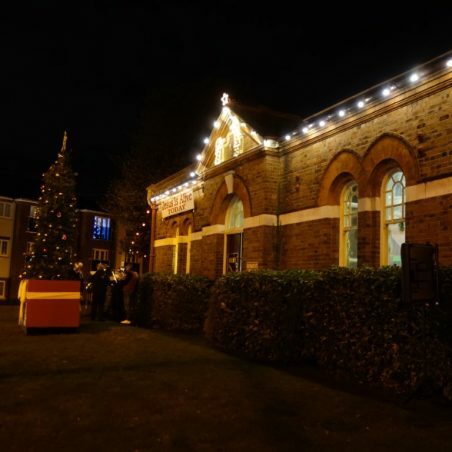 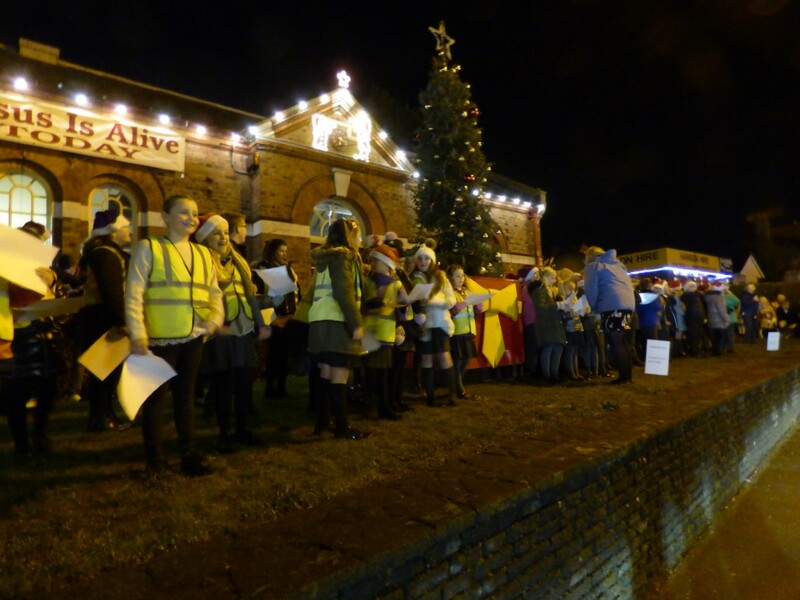 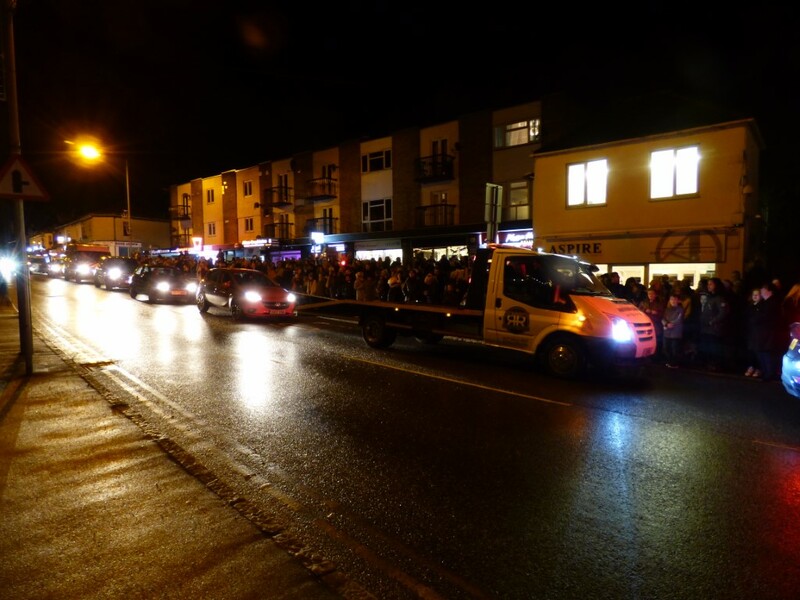 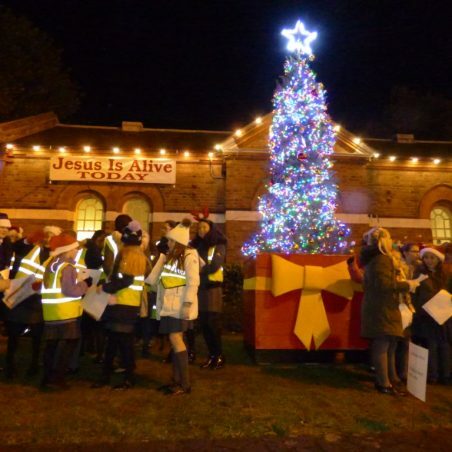 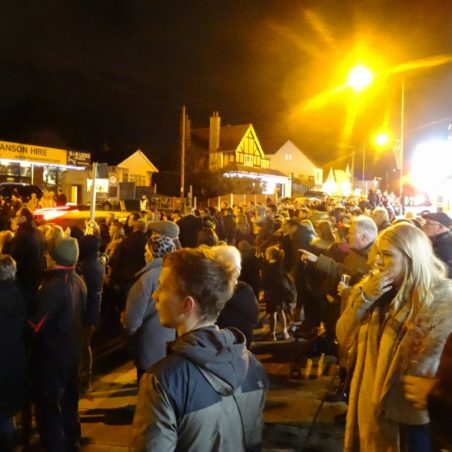 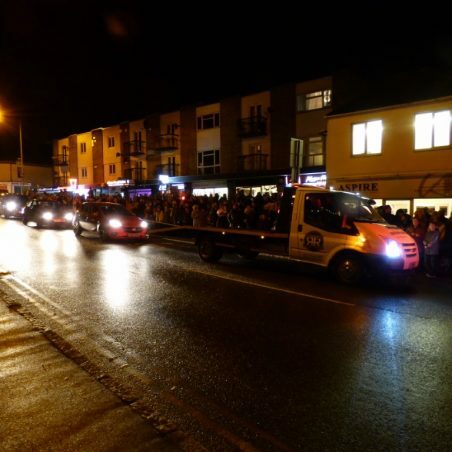 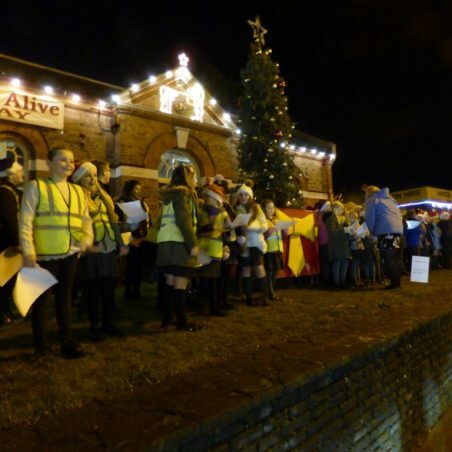 The Benfleet Christmas Action Group raised £6,130 from the Benfleet Community through a variety of events to provide a Christmas Tree for Benfleet along with street lights. 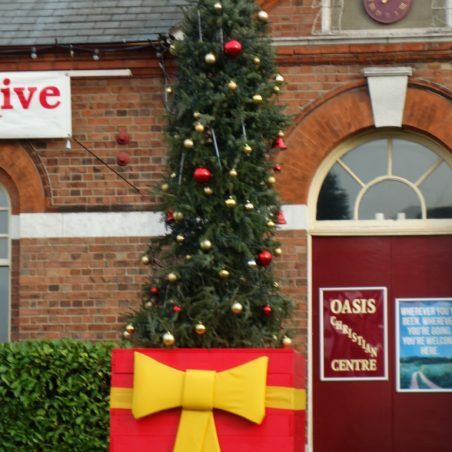 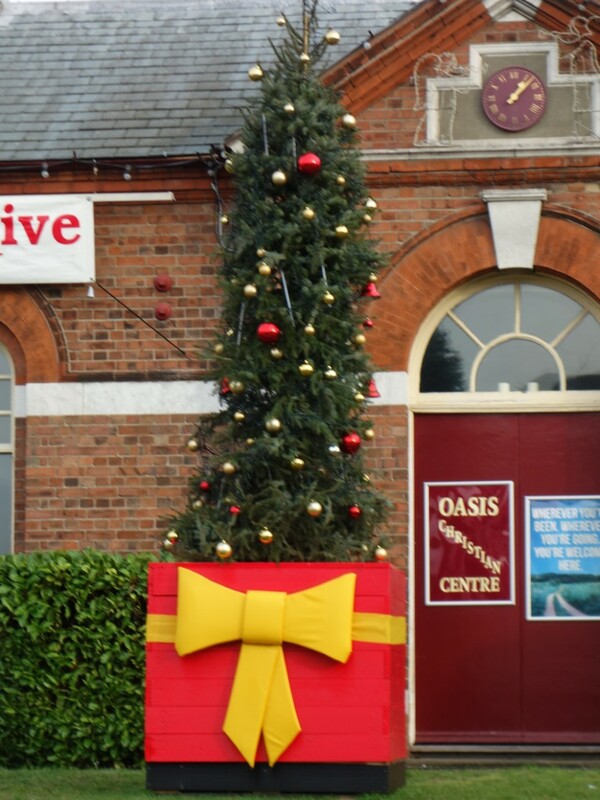 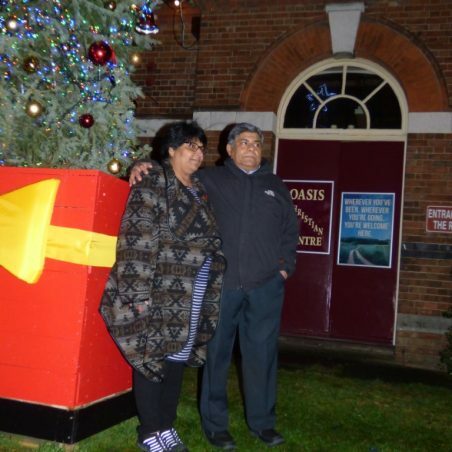 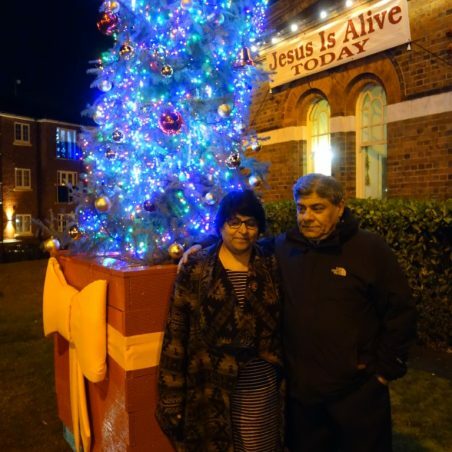 The Oasis Christian Centre under their Pastor, Ron Webb, gave permission for the Tree to be sited on their land and have enthusiastically helped run the event. 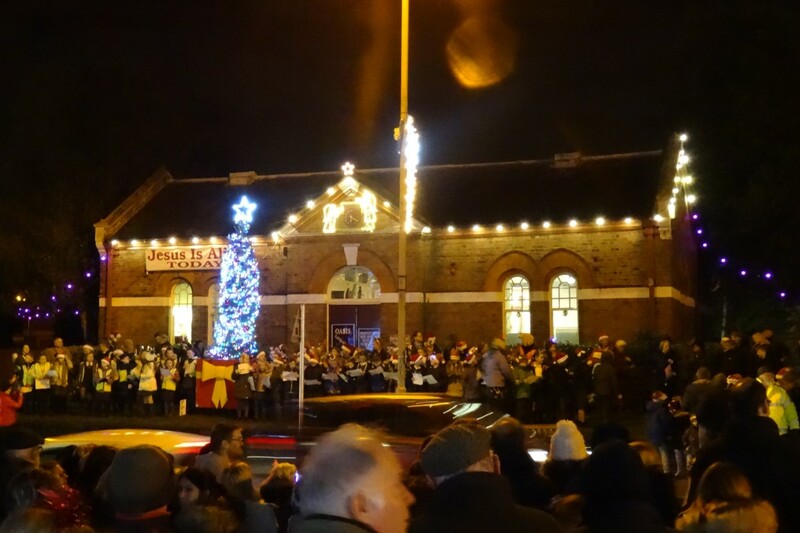 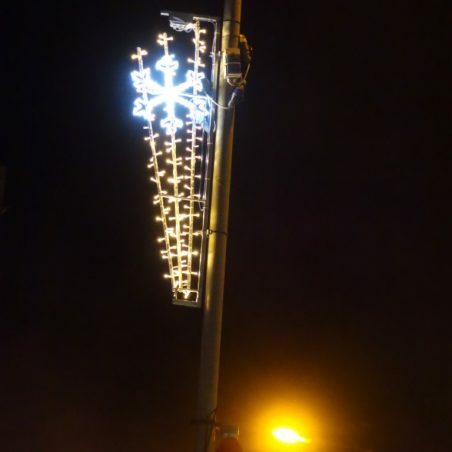 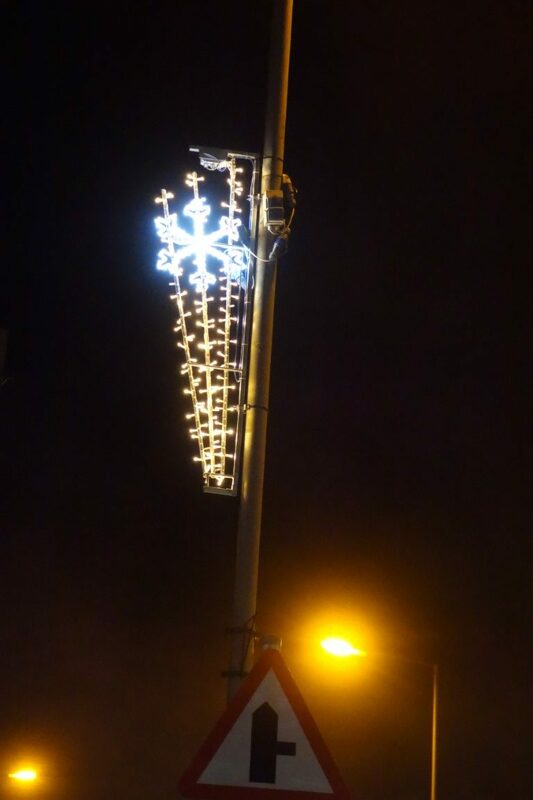 On Monday 3rd December the official turning on ceremony took place starting a 6 pm. 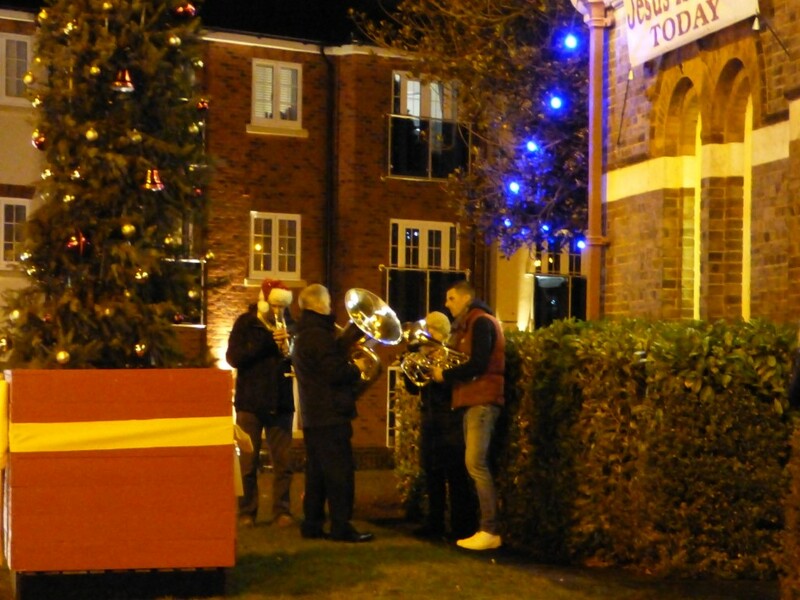 Salvation Army musicians played during the evening. 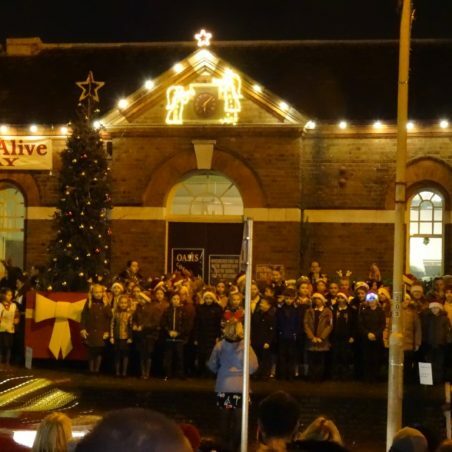 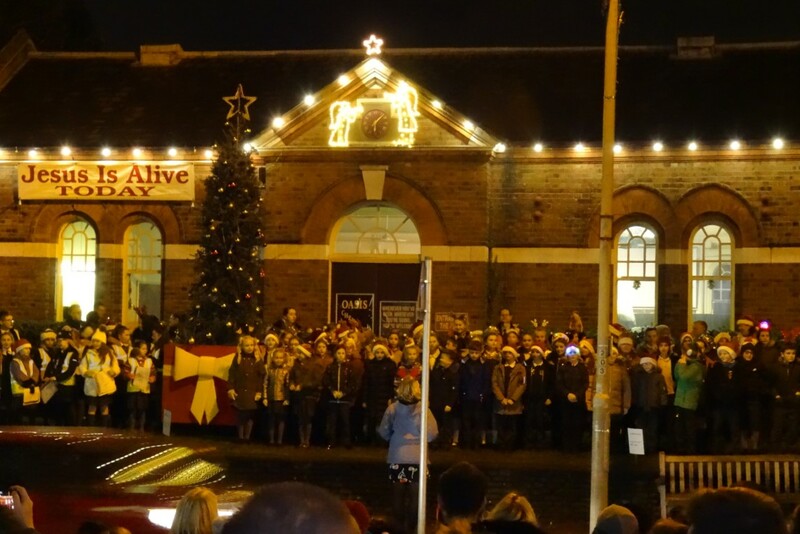 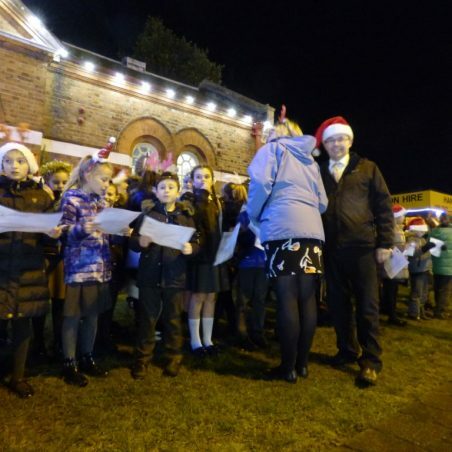 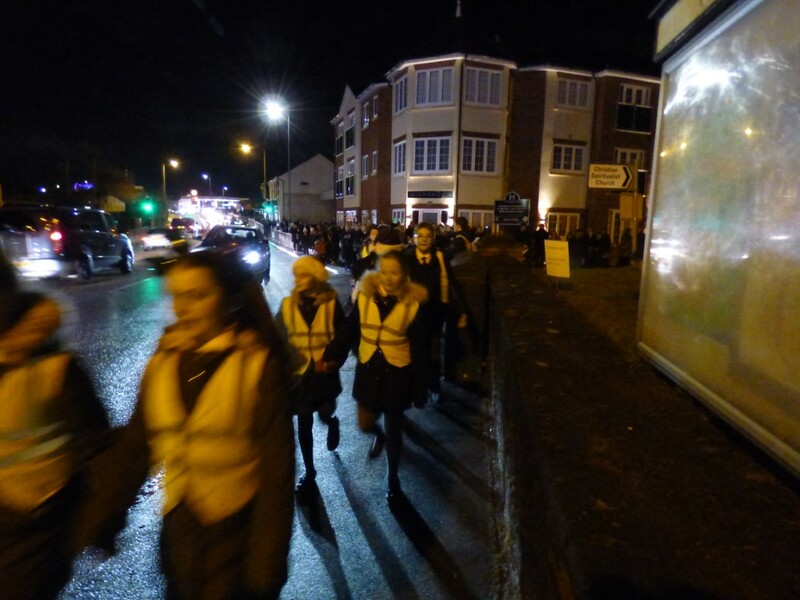 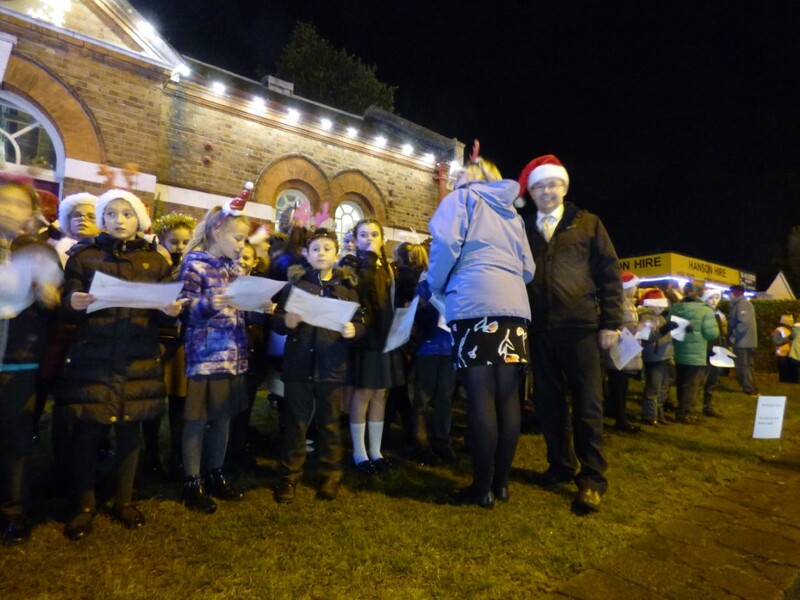 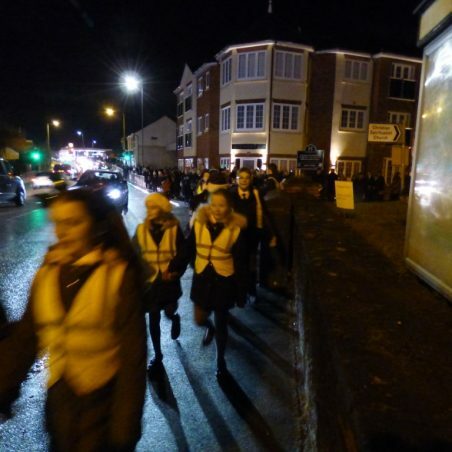 Then there were choirs from Kent’s Hill School and from Benfleet School who sang for the large crowd that had gathered. 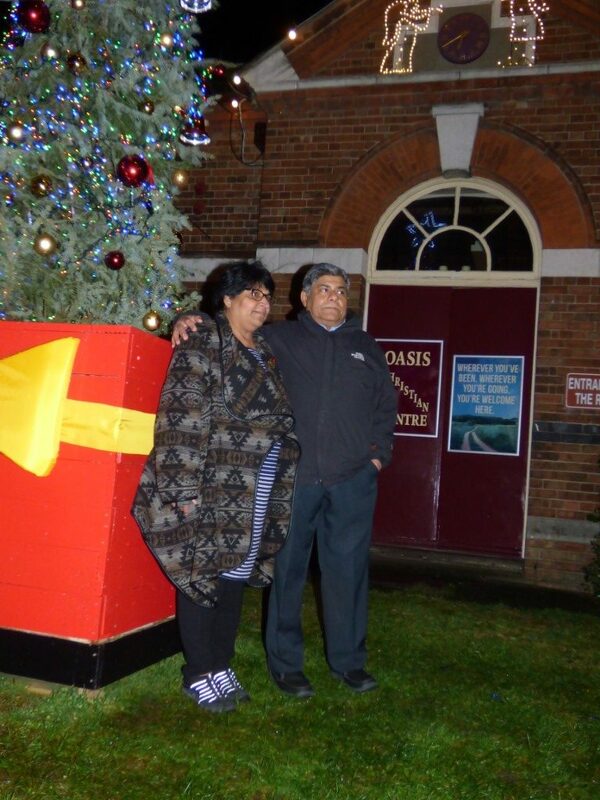 Then the lights were turned on by the the official guest Ram from the “From the Heart” card shop. 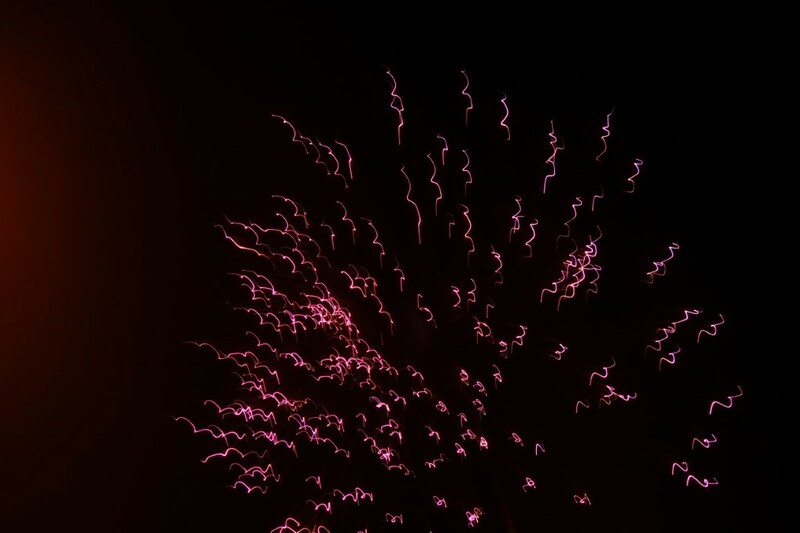 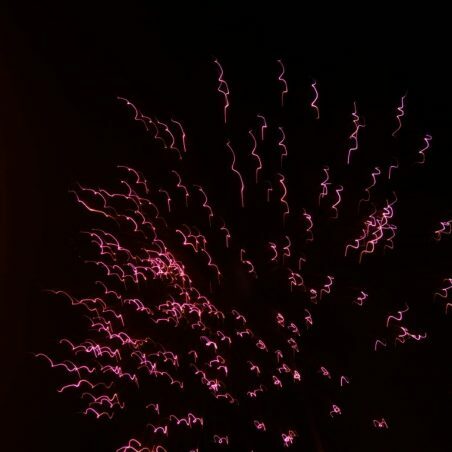 At the same time the street lights came on and fireworks played. 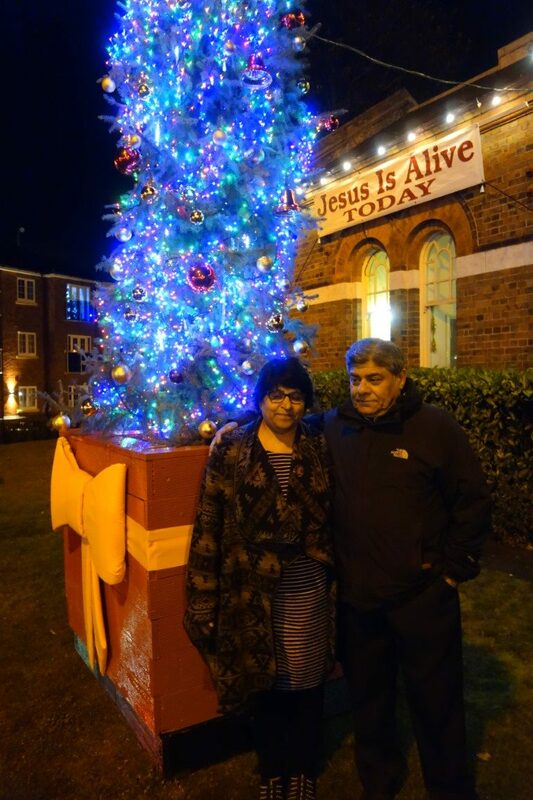 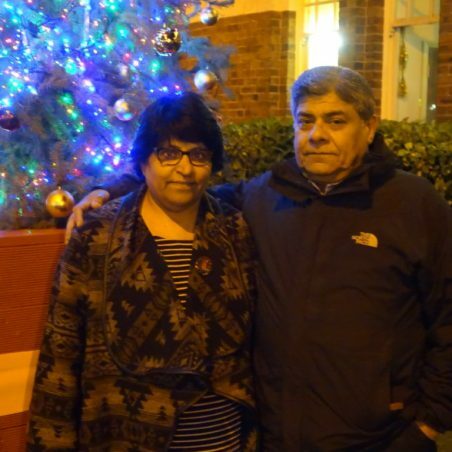 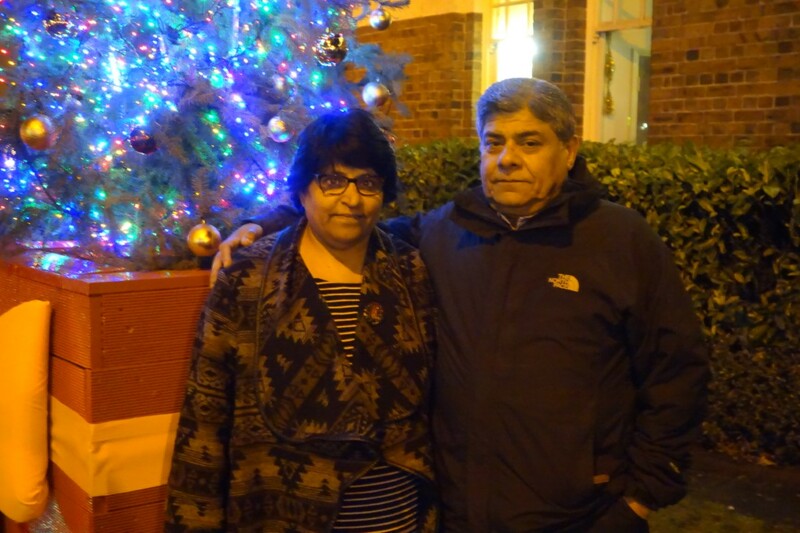 Ram and his wife by the tree.